We had three strikes against us upon arrival to Santee Cooper lakes to target catfish in the heat of summer. The woman who ran the lakeside tackle shop giggled when she told me we were here during the toughest time of year to catch catfish. Strike two: we were on a boat with a bunch of crappie pros that rarely target catfish and never have fished them at these lakes. Strike three: the weather. It was a constant battle dodging thunderstorms and rain. Fortunately, bad weather, a lack of knowledge and being here at the wrong time of year didn’t faze us. In fact, the fish cleaners looked at us funny when we came back two days in a row with a cooler full of 10-20 pound cats. Even the woman at the tackle shop peeked out the window to take a look, just as they did when we showed them photos of the slab-size crappie we caught the first day on live Chartreuse Fire Dye minnows before we switched over to catfish. Even though we were told it was the wrong time of year to target these South Carolina kitties there were still dozens of boats targeting them. Most, however, were in the canal between the lakes, whereas we focused on flats on the lakes. We also fished different than most. It didn’t matter than we had no prior knowledge and were being led by two crappie guys to target catfish (one who is from Alabama and had never been to these lakes). Fortunately, we had good bait. Most catfish anglers use blueback herring here. 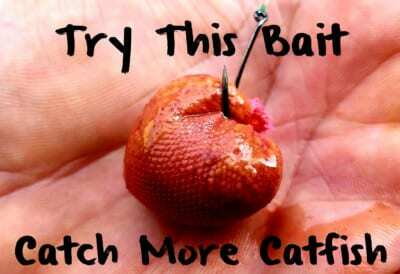 In fact, so many do that the tackle shops were running out of bait daily. 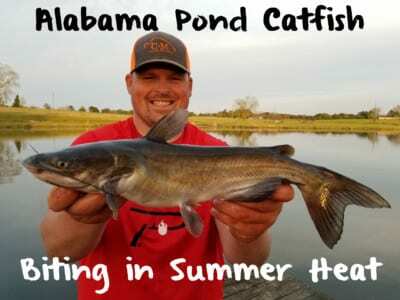 We only used blueback herring and were also the only anglers soaking it in Catfish Nectar, a new catfish scent. This was the purpose of our trip: the film Pautzke Outdoors testing Catfish Nectar in South Carolina’s most popular catfish fishery. Unlike other boats, we cut the herring into threes, placed them in a Ziploc, filled it half way and then poured a bottle of Catfish Nectar in. We let the bait sit overnight and fished it in the morning. The goal was for the Catfish Nectar to marinate into the herring and slowly seep out while it rested on the bottom, thus creating a scent trail. Whether coincidence or not we hammered the cats, during a time we were told was the worst time of year to catch them. Another factor is our captain doesn’t like fishing at night. We fished during the heat of the middle of the day and still caught them. Let’s compile the roadblocks: worst time of year, worst time of day, no prior knowledge, didn’t know where to fish, two crappie pros trying to catch a catfish and the only ones on the lake trying to test a new scent. Luckily, the catfish liked our scent. In fact, they gobbled it up like most South Carolina’s devour a combo at Bojangles. We caught and released dozens of cats each day and our captain kept a few for the greaser. Meanwhile, I requested they released all kitties bigger than 25 pounds (and told them I’d buy them dinner and extra sweet teas if they did). 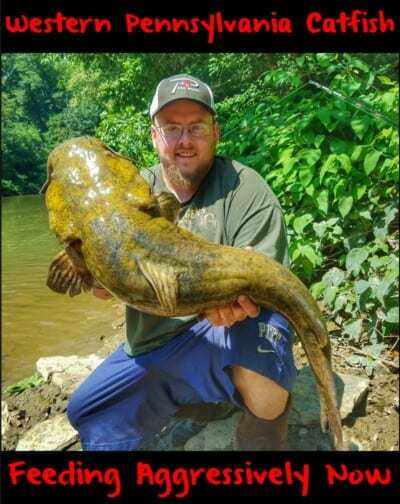 Our largest cat ran about 35 pounds and you’ll see him being released and happily swimming away when the episode of Pautzke Outdoors comes out. We ended up using a half-dozen bottles of Catfish Nectar over three days, giving away a few at the launch ramp to anglers who inquired about what we were using to catch all these cats and proved that our scent works and a few crappie pros can catch catfish, even in a lake they’ve never fished before. 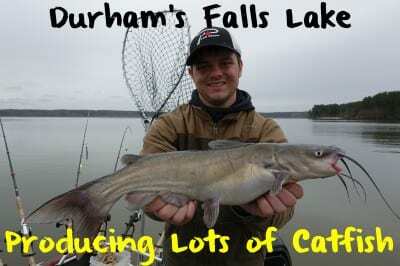 What a week it was at the Low Country’s favorite catfish lake! 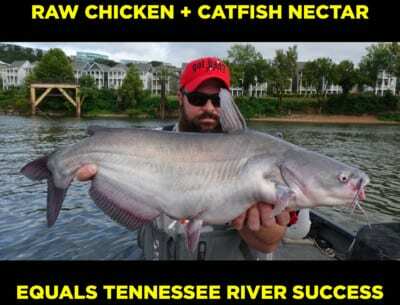 Can you imagine if we tried this during the right time of year to fish here for catfish? Special Note: Pautzke Catfish Nectar is available at most South Carolina Walmart stores.